Norman Rockwell reincarnated! This charming and gorgeous area is epitome of Americana. Highly sought after for the beautiful settings, windings streets, gorgeous trees, history and all set along the middle of some of the best lakeshore on Lake Minnetonka. “Cottagewood USA” is a sub hamlet of Deephaven and rates as one of the highest demand neighborhoods on Lake Minnetonka. The Cottagewood General Store is the historic neighborhood gathering place and yummy home of goodies for all ages. Friday night barbecues are part of the attraction. There is nearly always a dog asleep on the porch, bikes tipped over and kids giggling. The Minnetonka Yacht Club founded in 1892 with the inception of “the scow;” world famous sailors have gotten their start at this esteemed racing club parked on Lighthouse Island overlooking the heart of the main lower lake. The mid-point walking, biking, hiking regional trail leads east and west through Excelsior Parks. Tennis courts, platform tennis, baseball fields, and skating rinks are all dotted throughout Deephaven. Home to historic areas with famous old tourist hotels that graced the shoreline. The high demand Minnetonka schools are nationally recognized as one of the best school districts in the state with Spanish and Chinese immersion classes, and 91% college bound graduating classes. Athletic programs and extracurricular activities are second to none.  Deephaven rates as one of the highest demand real estate areas in the Lake Minnetonka vicinity. Clients come to me -- one of Wayzata’s top agents -- when they are looking to buy or sell because of my extensive knowledge of the industry and my history of sales on the lake. I would love to help you with this most important part of your life! Go-to Luxury and Lakeshore Specialist in the Lake Minnetonka area with 40 years of experience as a real estate agent.